Turning fifty? Having a party? 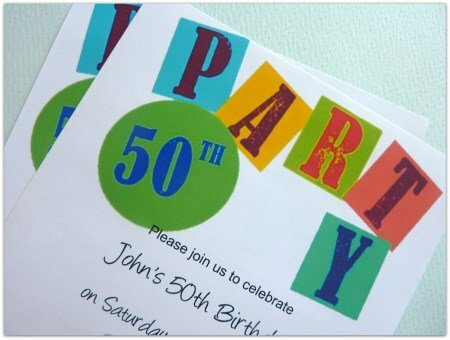 Let me help you invite your guests with this 50th birthday invite. Having a fiftieth birthday is a great time for a party. But how to get invitations that won't blow your budget? 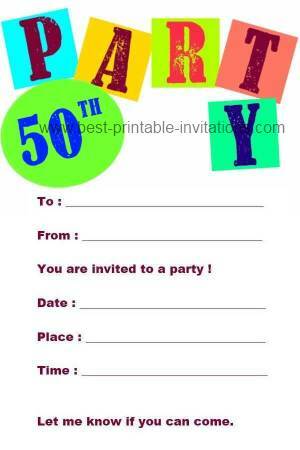 Well, how about this great free printable 50th invitation? This bright fun invite prints two per page. Easy to print, just cut apart and it is all ready to be filled in. Got a lot of friends? Take the stress out of handwriting your invitations with a customized version. 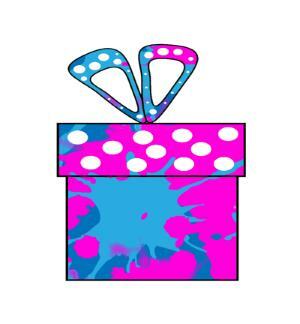 Type in your party details online, and we do all the work! Like this? Why not have it printed and delivered. 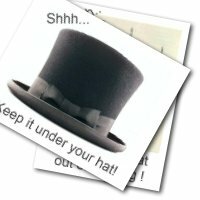 You can totally rewrite the wording to suit your own event - and order as many (or as few!) as you would like. 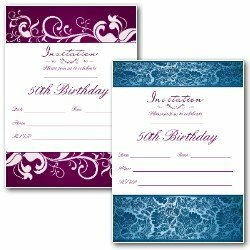 These invitations are printed onto 5x7 inch card, and come complete with envelope. 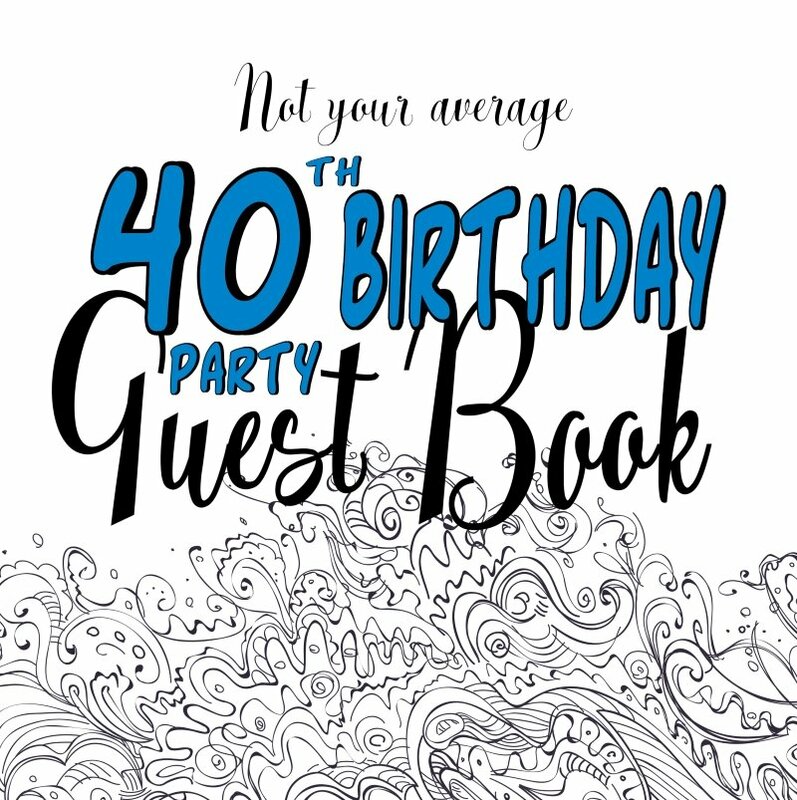 Turning fifty is a great time for a celebration - but a little thought and planning will make it a party you will never forget! You don't have to opt for a standard affair - think of a special event that really suits your personality. Do you like lots of people around you - or would you prefer a smaller, cozier event instead. As well as many different themed or fancy dress type parties - you could get creative over where you held your event. How about a picnic in the local park? Or a trip to the fun-fair complete with candyfloss and popcorn. If you are on a budget, then pot-luck dinners are perfectly acceptable. Just don't forget to tell your guests to bring some food! Providing the menu yourself? Look around for cheaper menu alternatives like this one. 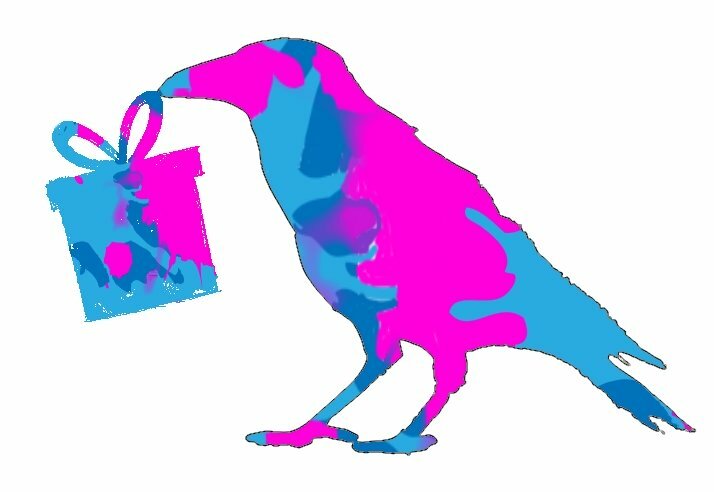 Unless you are a natural in the kitchen try to keep your menu simple - you don't want to spoil your big day being stressed over the cooking. When you are clear about your party plan, then it is time to think about inviting your guests. Who would you like to celebrate with you? Make a list and leave room to mark off who can come. 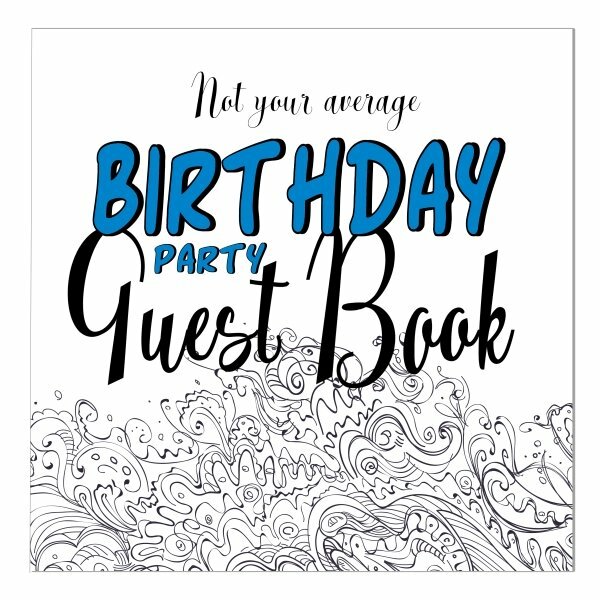 Send out your printable invitations about 3-4 weeks in advance of your party - longer if your guests will have a lot of organizing to do (like making travel arrangements, or making fancy dress costumes). Don't forget to let people know how to respond to the invite. Should they email you? Or telephone? Above all, relax and enjoy. Planning a party can be as much fun as the event itself.